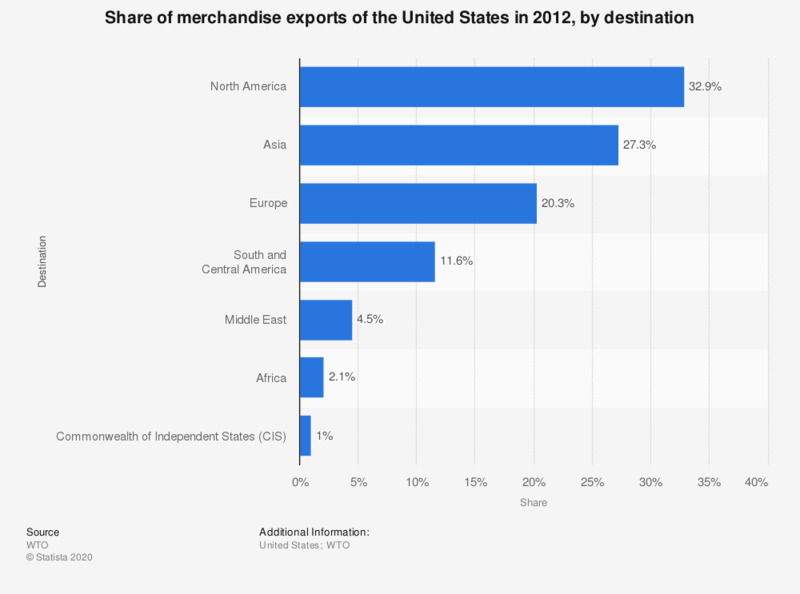 This graph shows the share of merchandise exports of the United States in 2012, by destination. The share of merchandise exports of the United States to North America was about 32.9 percent in 2012. A list of sources can be found on page 207.